One of the biggest challenges when comparing backup software is finding one that suits your individual needs. Everyone has a different number of computers, devices, and family members in their household. So it only makes sense that backup services should strive to accommodate as many people as possible. 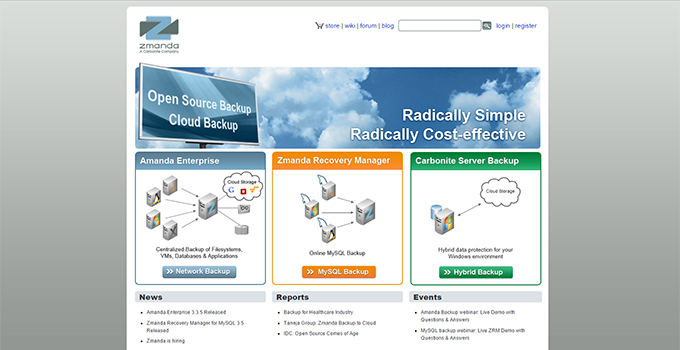 But a lot of backup services – especially cloud based backup services – limit backups to a single device. Stand-alone backup programs take a similar approach by selling user licenses, which can typically be purchased for 1, 3, and 5 devices at a time. But wouldn’t it be nice if you only had to purchase or subscribe to one service, and truly be able to backup as many devices as you want? Well, Pogoplug just may be what you’re looking for. They permit their users to backup as many computers, mobile devices, and other types of computer systems as they want. And though a fair few of their competitors make the same claim, the competition usually only provides an unrasonably small amount of storage space (as small as only 30GB). Pogoplug, however, offers unlimited storage space for unlimited backups. I know what you’re thinking – it’s too good to be true. I was a little skeptical at first as well, so let’s pick apart this backup solution piece by piece to help you make an informed decision before purchasing their software. Despite allowing users unlimited storage space and unlimited backups, they are surprisingly inexpensive and affordable. They start at only $4.95 per month, and will discount their rates even further to $49.95 for 12 months ($4.16 per month) with an annual subscription. To help put things in perspective, other cloud storage and cloud backup solutions typically cost more, and usually start at $6-$10 per month. So all in all, they have very favorable pricing. But is their software up to scratch, or is it a lemon? Let’s take a closer look at the features of their software. Pogoplug only supports Windows, Mac, iOS, and Android, so you’re out of luck if you want to backup another operating system like Linux. And they have an unbelievably simple interface – which could be good or bad. If you’re not very technically savvy, then you’ll like the fact that the interface isn’t cluttered with a million and one different configuration settings. On the other hand, if you know what you’re doing and want to fine-tune the backup operations, you may be a little disappointed. In fact, there are only two panes in the interface – each with their own simple ‘backup’ or ‘restore’ button. One pane houses all of the backup procedures, while another pane is used to restore backed up files. When you choose to run a backup, it will automatically select common directories such as My Documents in Windows, which is where the majority of users store their files. It will even separate files into different backup folders, such as Documents, Photos, and Videos. In addition, because it runs as a service, it will automatically backup any files that have changed since the last backup. 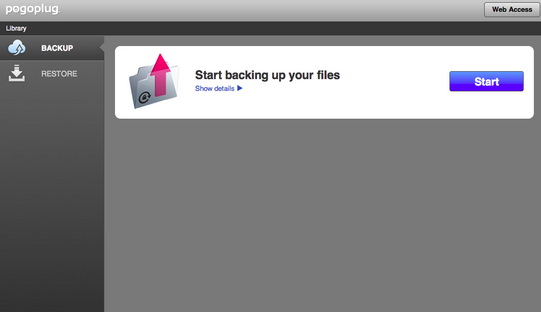 Yet again, I think this design was intentional to accommodate users who just want an easy and simple backup process. In addition, you do have the option of manually backing up files as you see fit, so you have a decent amount of control over which files and directories backup to the cloud. However, note that the automatic backup option excludes various file types by default, and only backs up the most common file extensions. Furthermore, it does have file sharing utilities that help you generate share links. Then, simply send the link to anyone who anyone you wish to share data with. And though they don’t have a syncing feature, you could presumably send share links to yourself and access them from other devices to transfer data between systems (though it isn’t ideal). The restore features are extremely simple, too. You don’t have a wealth of configuration settings to mess around with. All you need to do is click on the restore pane, select the folder or backup you wish to restore, and wait for the software to do its thing. I think this is a wonderful feature for common users, but even though there’s elegance in simplicity, it is a bit of a double edged sword. It certainly could use some extra features for users who know what they’re doing. For instance, almost every other cloud backup service includes a file versioning feature. It’s more or less standard these days, though Pogoplug doesn’t support file versioning. So if you accidentally overwrite a backup and want to revert to an older backup version, you’re out of luck. Interestingly enough, they claim that they never delete files in your cloud storage volume that have been deleted from your computer. This too is a blessing and a curse. Pretend, for example, that your computer became infected with a virus that shredded most of your files. Because Pogoplug offers unlimited storage and doesn’t delete your saved files, you can recover data even after the virus annihilates your local data. But it’s also a bit of a security concern (even though they offer strong security). I don’t think I’d like the idea of my backed up files living in the cloud with immortality – even if they are encrypted. The absolute best type of security offered by cloud backup providers is client-side encryption, because the provider doesn’t know the key used to encrypt your data. Essentially, it makes your data impervious to hackers and rogue, disgruntled cloud employees. However, Pogoplug isn’t a zero-knowledge provider, and they don’t have client-side encryption. Instead, they use SSL-256-bit encryption. Though I favor client-side encryption using at least AES-256, SSL-256-bit encryption is very secure and commonly used by the banking industry. But there’s one nasty caveat: apparently, they don’t operate their own in-house servers. Instead, they make use of other providers’ storage servers – specifically Amazon’s. So it appears that your data is only encrypted for transport to the servers, and not while the data is actually in storage. Though it may seem like a small matter, it’s really a gaping security hole. There is, however, one way around this security problem. You can create a local backup and then encrypt it on your own with a third-party encryption utility like TrueCrypt (and I’d highly advise that you do so for sensitive personal data). Though they were a little weak in the security department, they do better with customer service. I’ve seen a fair few cloud backup and storage providers that only offer email ticketing systems as a means of contacting technical support. But Pogoplug has their bases covered nicely. In addition to email support, you do have the option of calling their support telephony number. But I don’t usually like waiting in phone queues. Fortunately, Pogoplug has a live chat feature for paid users that is available from 9:00am to 9:00pm Pacific Standard Time. Though the live chat feature is limited to those working hours, the other methods of contacting support are available 24/7. So is Pogoplug the best cloud backup option for you? Well, that depends a great deal on who you are and what type of files you want to backup. I did like how cheap they were, and it’s extremely uncommon to see a provider offer unlimited backups and unlimited storage. Plus, their interface is so simple your great grandmother likely wouldn’t have any problems learning how to use it. I’d say that if you’re a nontechnical user who’s looking for a cheap backup option, go for it. At the very least, take advantage of their free trial. But there are a couple caveats. 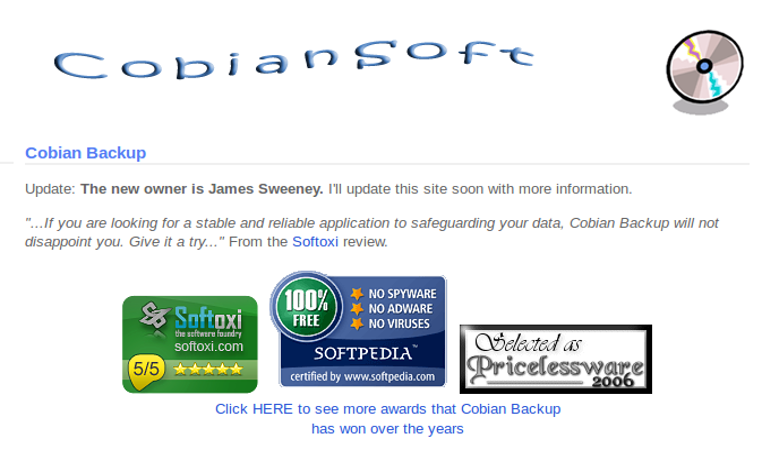 If you’re fairly good at using a computer, I’d recommend looking for another cloud backup option with more features, such as Carbonite or SpiderOak One. Lastly, I wouldn’t use their service if you’re going to be storing sensitive files. If you just can’t help yourself because you like their service and pricing too much, at the very least, make sure you encrypt local backups before sending them to the cloud.